2011, Sculpture, 330 x 180 x 328 cm, Courtesy of the artist and Nueveochenta Gallery. 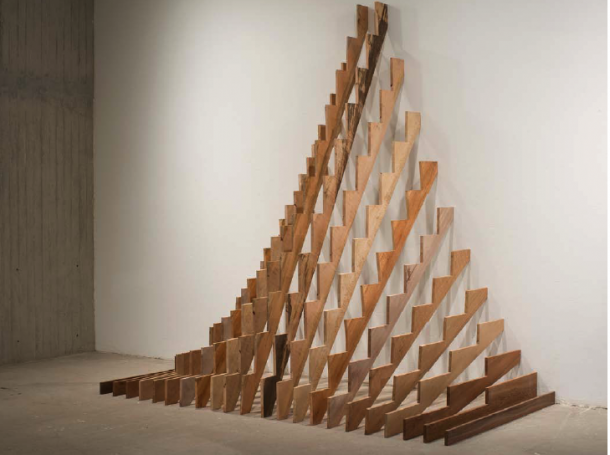 Progresión is as a light and airy sculpture, made ​​of wooden battens. 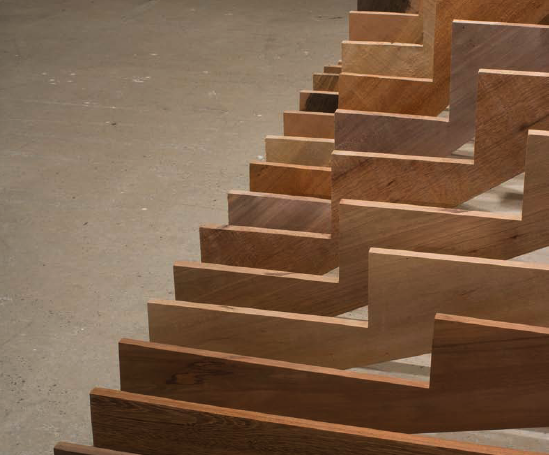 The artist plays with the modularity and the rhythm of the wood. 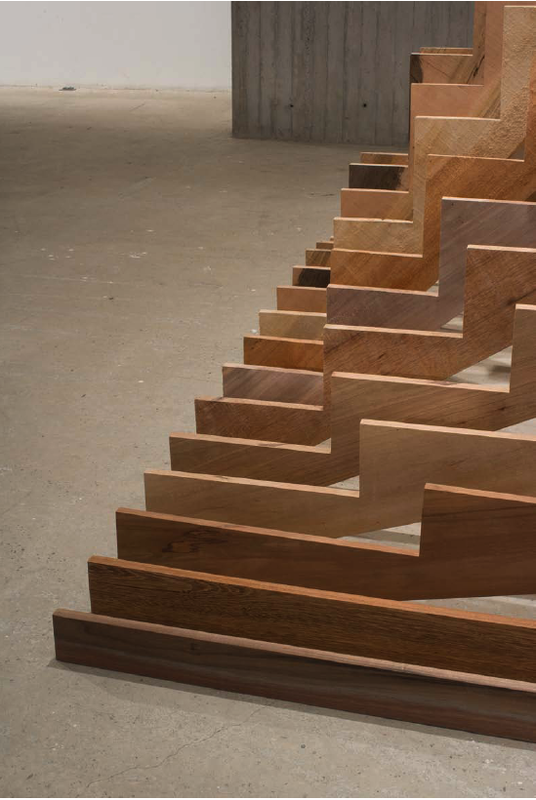 The work is similar to another series where the artist shows a lot of of irregular stairs (“Escalas”) which the people of Medellin use everyday. 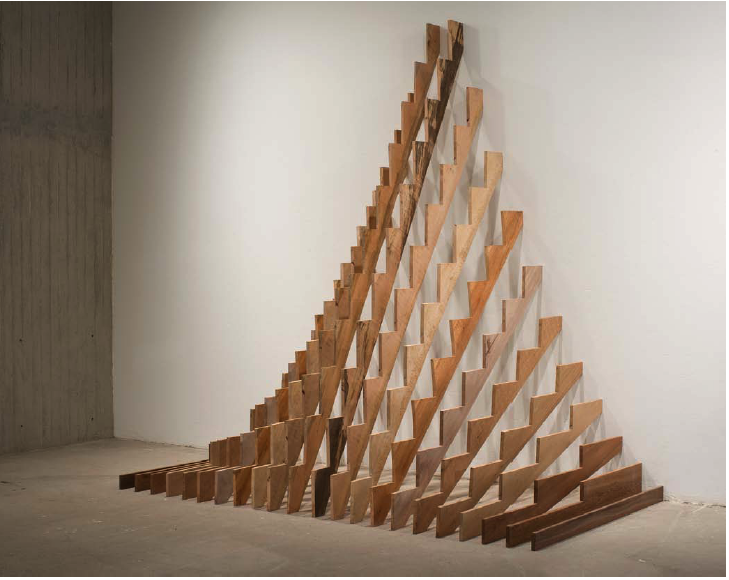 These stairs, with a sculptural form, function as the abstract for the wooden sculpture and creates a symbol of progress and effort, transcendence and the idea of surpassing oneself.